4151601 PW400MH-6 KOMATSU PW400MH-6 Material Handler. Spare Parts Catalog. Service (workshop) Manual. Operator's Instruction Manual. 4151603 PW05-1 KOMATSU PW05-1 Wheel Excavator. Spare Parts Catalog. Service (workshop) Manual. Operator's Instruction Manual. 4151604 PW20-1 KOMATSU PW20-1 Wheel Excavator. Spare Parts Catalog. Service (workshop) Manual. Operator's Instruction Manual. 4151605 PW30-1 KOMATSU PW30-1 Wheel Excavator. Spare Parts Catalog. Service (workshop) Manual. Operator's Instruction Manual. 4151606 PW30T-1 KOMATSU PW30T-1 Wheel Excavator. Spare Parts Catalog. Service (workshop) Manual. Operator's Instruction Manual. 4151607 PW40UU-1 KOMATSU PW40UU-1 Wheel Excavator. Spare Parts Catalog. Service (workshop) Manual. Operator's Instruction Manual. 4151608 PW60-1 KOMATSU PW60-1 Wheel Excavator. Spare Parts Catalog. Service (workshop) Manual. Operator's Instruction Manual. 4151609 PW60-3 KOMATSU PW60-3 Wheel Excavator. Spare Parts Catalog. Service (workshop) Manual. Operator's Instruction Manual. 4151610 PW60S-3 KOMATSU PW60S-3 Wheel Excavator. Spare Parts Catalog. Service (workshop) Manual. Operator's Instruction Manual. 4151611 PW75-1 KOMATSU PW75-1 Wheel Excavator. Spare Parts Catalog. Service (workshop) Manual. Operator's Instruction Manual. 4151612 PW75R-2 KOMATSU PW75R-2 Wheel Excavator. Spare Parts Catalog. Service (workshop) Manual. Operator's Instruction Manual. 4151613 PW95-1 KOMATSU PW95-1 Wheel Excavator. Spare Parts Catalog. Service (workshop) Manual. Operator's Instruction Manual. 4151614 PW95R-2 KOMATSU PW95R-2 Wheel Excavator. Spare Parts Catalog. Service (workshop) Manual. Operator's Instruction Manual. 4151615 PW98MR-6 KOMATSU PW98MR-6 Wheel Excavator. Spare Parts Catalog. Service (workshop) Manual. Operator's Instruction Manual. 4151616 PW98MR-8 KOMATSU PW98MR-8 Wheel Excavator. Spare Parts Catalog. Service (workshop) Manual. Operator's Instruction Manual. 4151617 PW100-1 KOMATSU PW100-1 Wheel Excavator. Spare Parts Catalog. Service (workshop) Manual. Operator's Instruction Manual. 4151618 PW100-3 KOMATSU PW100-3 Wheel Excavator. Spare Parts Catalog. Service (workshop) Manual. Operator's Instruction Manual. 4151619 PW100N-3 KOMATSU PW100N-3 Wheel Excavator. Spare Parts Catalog. Service (workshop) Manual. Operator's Instruction Manual. 4151620 PW100S-3 KOMATSU PW100S-3 Wheel Excavator. Spare Parts Catalog. Service (workshop) Manual. Operator's Instruction Manual. 4151621 PW110R-1 KOMATSU PW110R-1 Wheel Excavator. Spare Parts Catalog. Service (workshop) Manual. Operator's Instruction Manual. 4151622 PW118MR-8 KOMATSU PW118MR-8 Wheel Excavator. Spare Parts Catalog. Service (workshop) Manual. Operator's Instruction Manual. 4151623 PW128UU-1 KOMATSU PW128UU-1 Wheel Excavator. Spare Parts Catalog. Service (workshop) Manual. Operator's Instruction Manual. 4151624 PW128UU-1S KOMATSU PW128UU-1S Wheel Excavator. Spare Parts Catalog. Service (workshop) Manual. Operator's Instruction Manual. 4151625 PW130-6K KOMATSU PW130-6K Wheel Excavator. Spare Parts Catalog. Service (workshop) Manual. Operator's Instruction Manual. 4151626 PW130-7K KOMATSU PW130-7K Wheel Excavator. Spare Parts Catalog. Service (workshop) Manual. Operator's Instruction Manual. 4151627 PW130ES-6K KOMATSU PW130ES-6K Wheel Excavator. Spare Parts Catalog. Service (workshop) Manual. Operator's Instruction Manual. 4151628 PW140-7 KOMATSU PW140-7 Wheel Excavator. Spare Parts Catalog. Service (workshop) Manual. Operator's Instruction Manual. 4151629 PW148-8 KOMATSU PW148-8 Wheel Excavator. Spare Parts Catalog. Service (workshop) Manual. Operator's Instruction Manual. 4151630 PW150-1 KOMATSU PW150-1 Wheel Excavator. Spare Parts Catalog. Service (workshop) Manual. Operator's Instruction Manual. 4151631 PW150ES-6K KOMATSU PW150ES-6K Wheel Excavator. Spare Parts Catalog. Service (workshop) Manual. Operator's Instruction Manual. 4151632 PW160-7 KOMATSU PW160-7 Wheel Excavator. Spare Parts Catalog. Service (workshop) Manual. Operator's Instruction Manual. 4151633 PW160-7E0 KOMATSU PW160-7E0 Wheel Excavator. Spare Parts Catalog. Service (workshop) Manual. Operator's Instruction Manual. 4151634 PW160-7H KOMATSU PW160-7H Wheel Excavator. Spare Parts Catalog. Service (workshop) Manual. Operator's Instruction Manual. 4151635 PW160-7K KOMATSU PW160-7K Wheel Excavator. Spare Parts Catalog. Service (workshop) Manual. Operator's Instruction Manual. 4151636 PW160-8 KOMATSU PW160-8 Wheel Excavator. Spare Parts Catalog. Service (workshop) Manual. Operator's Instruction Manual. 4151637 PW170-5K KOMATSU PW170-5K Wheel Excavator. Spare Parts Catalog. Service (workshop) Manual. Operator's Instruction Manual. 4151638 PW170ES-6K KOMATSU PW170ES-6K Wheel Excavator. Spare Parts Catalog. Service (workshop) Manual. Operator's Instruction Manual. 4151639 PW180-7E0 KOMATSU PW180-7E0 Wheel Excavator. Spare Parts Catalog. Service (workshop) Manual. Operator's Instruction Manual. 4151640 PW180-7K KOMATSU PW180-7K Wheel Excavator. Spare Parts Catalog. Service (workshop) Manual. Operator's Instruction Manual. 4151641 PW200-1 KOMATSU PW200-1 Wheel Excavator. Spare Parts Catalog. Service (workshop) Manual. Operator's Instruction Manual. 4151642 PW200-7E0 KOMATSU PW200-7E0 Wheel Excavator. Spare Parts Catalog. Service (workshop) Manual. Operator's Instruction Manual. 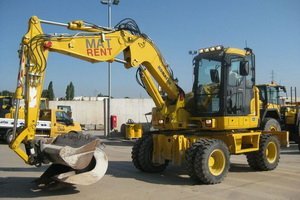 4151643 PW200-7H KOMATSU PW200-7H Wheel Excavator. Spare Parts Catalog. Service (workshop) Manual. Operator's Instruction Manual. 4151644 PW200-7K KOMATSU PW200-7K Wheel Excavator. Spare Parts Catalog. Service (workshop) Manual. Operator's Instruction Manual. 4151645 PW210-1 KOMATSU PW210-1 Wheel Excavator. Spare Parts Catalog. Service (workshop) Manual. Operator's Instruction Manual. 4151646 PW220-7E0 KOMATSU PW220-7E0 Wheel Excavator. Spare Parts Catalog. Service (workshop) Manual. Operator's Instruction Manual. 4151647 PW220-7H KOMATSU PW220-7H Wheel Excavator. Spare Parts Catalog. Service (workshop) Manual. Operator's Instruction Manual. 4151648 PW220-7K KOMATSU PW220-7K Wheel Excavator. Spare Parts Catalog. Service (workshop) Manual. Operator's Instruction Manual. 4151649 PW220MH-7 KOMATSU PW220MH-7 Wheel Excavator. Spare Parts Catalog. Service (workshop) Manual. Operator's Instruction Manual. 4151650 PWA210-1 KOMATSU PWA210-1 Wheel Excavator. Spare Parts Catalog. Service (workshop) Manual. Operator's Instruction Manual.